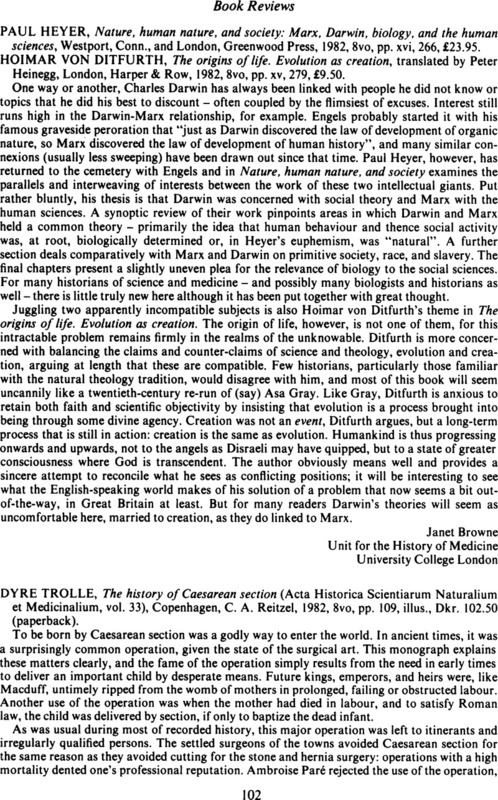 Paul Heyer, Nature, human nature, and society: Marx, Darwin, biology, and the human sciences, Westport, Conn., and London, Greenwood Press, 1982, 8vo, pp. xvi, 266, £23.95. - Hoimar von Ditfurth, The origins of life. Evolution as creation, translated by Peter Heinegg, London, Harper ' Row, 1982, 8vo, pp. xv, 279, £9.50.